Coming alongside those who suffer. The Good Samaritan gave us an example of caring for the Weak and the Powerless, even when they are strangers. We need to look at our responsibilities when it comes to those in the world who are hurting because of disease and sickness. 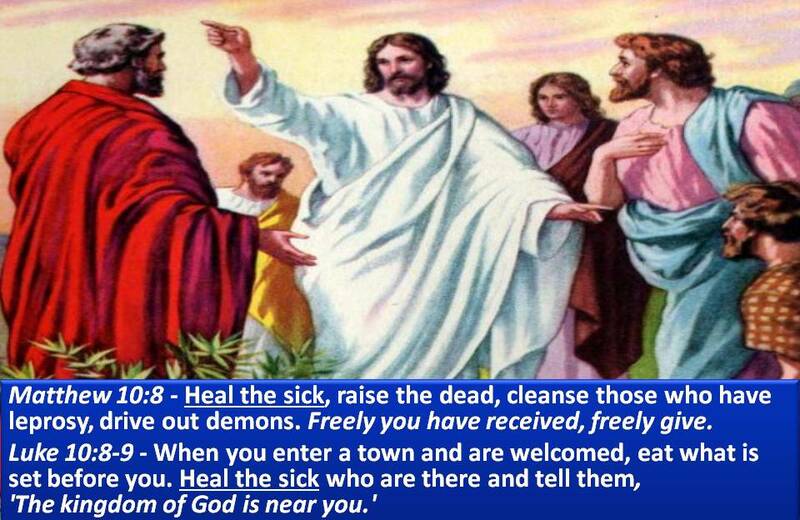 Matthew 10:8 – Heal the sick, raise the dead, cleanse those who have leprosy, drive out demons. Freely you have received, freely give. Heal: Therapeúō – attendant, servant. To voluntarily wait upon, minister to, render service, heal. Pictures the physician’s watchful attendance of the sick and man’s service to God. Therapeuo means to serve as therápōn. Therápōn-denotes a faithful friend to a superior, who solicitously regards the superior’s interest or looks after his affairs, not a common or domestic servant. Therápōn approaches more closely the position of oikonómos, manager, in God’s house. One who heals the sick is a friend who closely watches over one he considers his superior. One who heals the sick is actually functioning as a manager in God’s house! 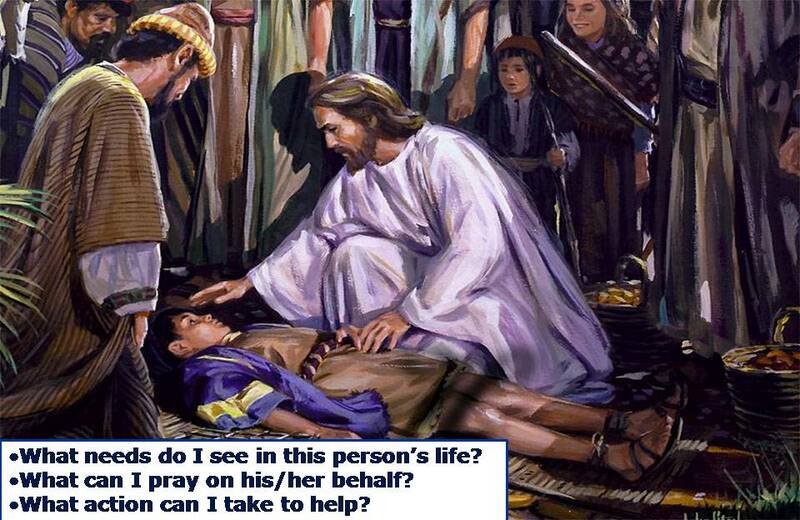 The reason this is so important is the actual meaning of the sick that Christ sent them out to minister to. SICK: asthenés: “Without strength, powerless, weak, without physical ability. By implication, meaning afflicted, distressed by oppression, calamity. In a moral sense, wretched, diseased, i.e., in a state of sin and wretchedness. Our attitude toward sickness and disease reveals the state of our heart-whether we are fit to be managers in God’s House! Ezekiel explains the Code of the Watchman. 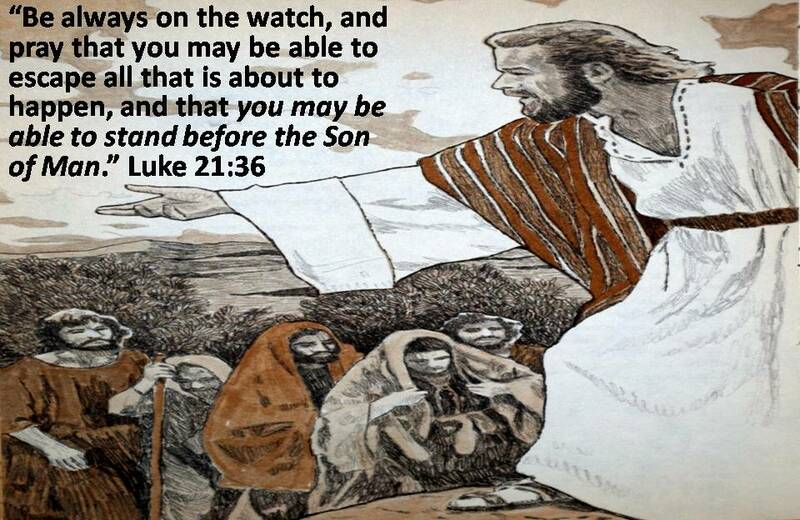 God sets some people up as Watchmen over His people. They are to warn the people of impending danger. Now at this time both the Northern and Southern Kingdoms of Israel and Judah had already been taken into captivity. Both nations had gone on a massive sinning spree – worshiping false gods and graven images and turning their back on their one true God time and time again. 3 “Why have we fasted, but You have not seen? We have denied ourselves, but You haven’t noticed!” “Look, you do as you please on the day of your fast, and oppress all your workers. 4 You fast ⌊with⌋ contention and strife to strike viciously with ⌊your⌋ fist. You cannot fast as ⌊you do⌋ today, ⌊hoping⌋ to make your voice heard on high. 5 Will the fast I choose be like this: A day for a person to deny himself, to bow his head like a reed, and to spread out sackcloth and ashes? Will you call this a fast and a day acceptable to the Lord? 6 Isn’t the fast I choose: To break the chains of wickedness, to untie the ropes of the yoke, to set the oppressed free, and to tear off every yoke? 7 Is it not to share your bread with the hungry, to bring the poor and homeless into your house, to clothe the naked when you see him, and not to ignore your own flesh ⌊and blood⌋? 8 Then your light will appear like the dawn, and your recovery will come quickly. Your righteousness will go before you, and the Lord’s glory will be your rear guard. 9 At that time, when you call, the Lord will answer; when you cry out, He will say, ‘Here I am.’ If you get rid of the yoke among you, the finger-pointing and malicious speaking, 10 and if you offer yourself to the hungry, and satisfy the afflicted one, then your light will shine in the darkness, and your night will be like noonday. 11 The Lord will always lead you, satisfy you in a parched land, and strengthen your bones. You will be like a watered garden and like a spring whose waters never run dry. 12 Some of you will rebuild the ancient ruins; you will restore the foundations laid long ago; you will be called the repairer of broken walls, the restorer of streets where people live. 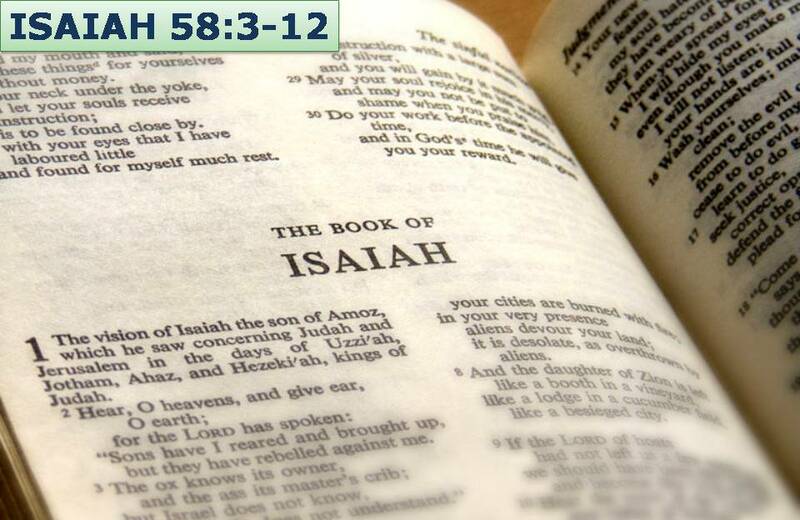 The people of the Southern Kingdom thought they were being religious, thought they were being “Good God-fearing Jews”, yet God through Isaiah revealed their selfishness. He revealed how they were neglecting the poor, the hungry, the afflicted. Their hearts and their purse strings were closed to the needs of those around them. 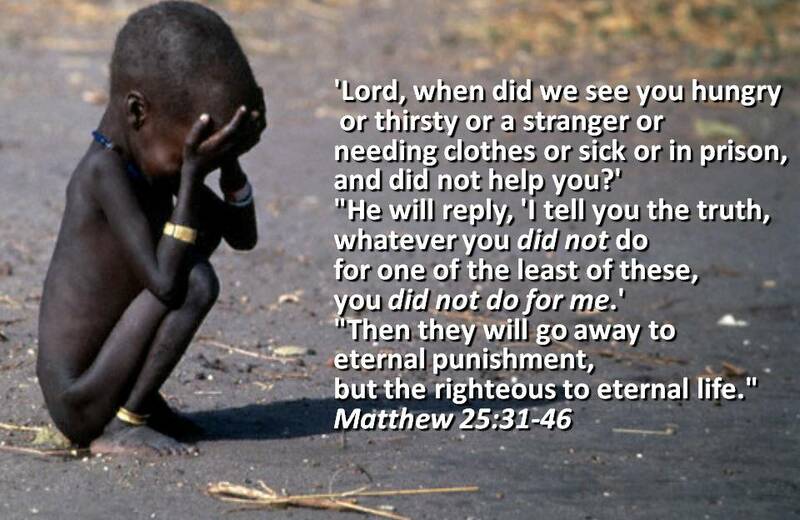 But God said that if they would share their bread, bring the poor and homeless into their home, see to the needs of the afflicted, then recovery would appear quickly. The Lord’s Glory would be their rear guard. When they satisfied the afflicted ones, their light would shine in darkness, the Lord would lead them, satisfy them and strengthen them. They would be called the repairer of the broken walls. Obviously, as God promised, Israel was judged for its sin. The people did not heed the warnings of Isaiah and others. The watchmen failed to turn the people to the Lord, and to doing what pleased the Lord. In a way, Israel had “died,” when she went into captivity, and now she would need to be reborn and restored to her rightful place as a healthy and whole nation before God. 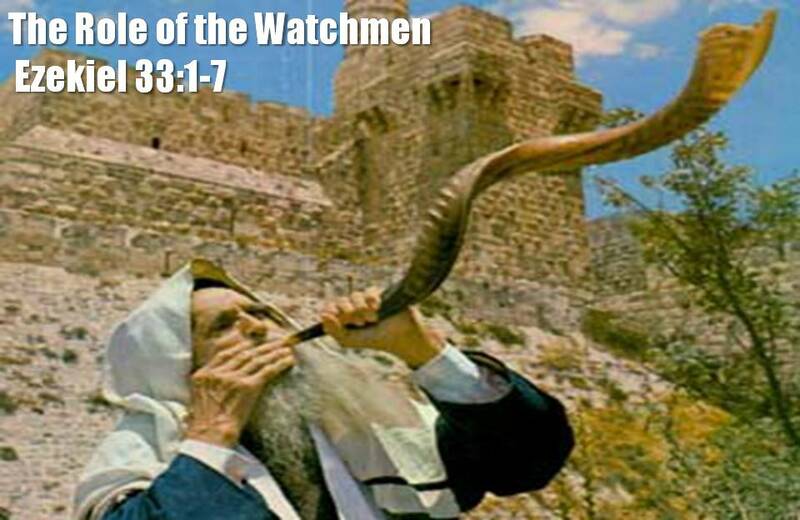 Ezekiel said if that was to happen, the watchmen would have to assume their proper place. The people would have to heed the calls of the watchmen. The church age has come along now, and we are to prepare a bride for our Savior. This world is dying, the people are ignoring the sound of God’s trumpet, and instead of being WATCHMEN, many of us have closed our eyes and said there is nothing I can do. Is that the excuse you want to give Jesus? Many parts of our world—including, much of the bottom half of the continent of Africa—have been decimated and “put to death” by serious but treatable diseases. Death toll: More than 4 million people each year. Most victims are under five. Infection rate: Some 39.4 million people in the world live with HIV. Each day, 1,500 children worldwide become infected with HIV, the vast majority of them newborns. Less than 10 percent of HIV-positive pregnant women receive drug therapies to prevent the transmission of HIV to their infants. Death toll: Between 1 million and 5 million each year. Facts: In Africa, 3,000 children die every day from the preventable disease. Ninety per cent of deaths are in Africa, home to the most deadly form of the virus. Less than five percent of people at greatest malaria risk have insecticide-treated mosquito nets to sleep under. Death toll: Kills around 2.2 million people each year. Caused by dysentery, cholera and a host of lesser-known scourges – is a symptom of infection from bacterial, viral and parasitic organisms like microscopic worms. Most diarrhea-related deaths, particularly in children, are due to dehydration. How is it spread? Contaminated water and food. Each year more than five million people die from water-related disease. Every 15 Seconds a child dies from a water related disease. 84% of water-related deaths are in children ages 0-14. Poor peoplel living in the slums often pay 5-10 times more per liter of water than wealthy people lving in the same city. At any one time, more than half the poor of the developing world are ill from causes related to hygiene, sanitation, and water supply. Eighty-eight percent of causes of diarrhea worldwide are attributed to unsafe water, inadequate sanitation or insufficient hygien. Only 62% of the world’s population has access to improved sanitation–one that ensures hygenic separation of human exreta from human contact. Death toll: Two million people die every year. 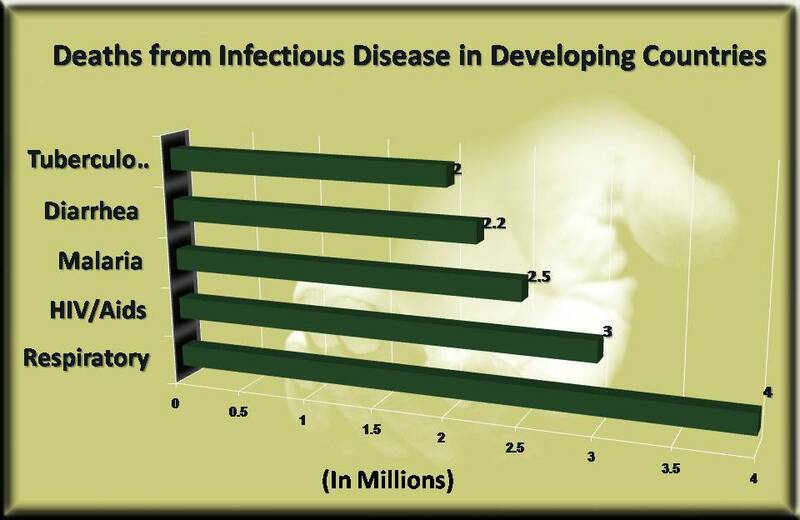 Infection rate: About 2 billion people are infected with TB and over 8 million new cases develop each year. TB is a frequent killer for people with AIDS. African states suffering from the HIV pandemic have experienced an annual 10 percent rise in TB cases. Jesus called the hurting “His Brother’s”. When we look after the sick, we are looking after Jesus. It is time to see those villages, cities, nations, continents … entire people groups … brought back to life. It’s time we open our eyes and look after them like watchmen of the Lord! Much like Ezekiel, we, as followers of Jesus Christ, bear the responsibility for sounding the horn and alerting all who have ears to hear that the only way rebirth and restoration can occur is if we help to stop the hurting that is taking lives even as I talk. 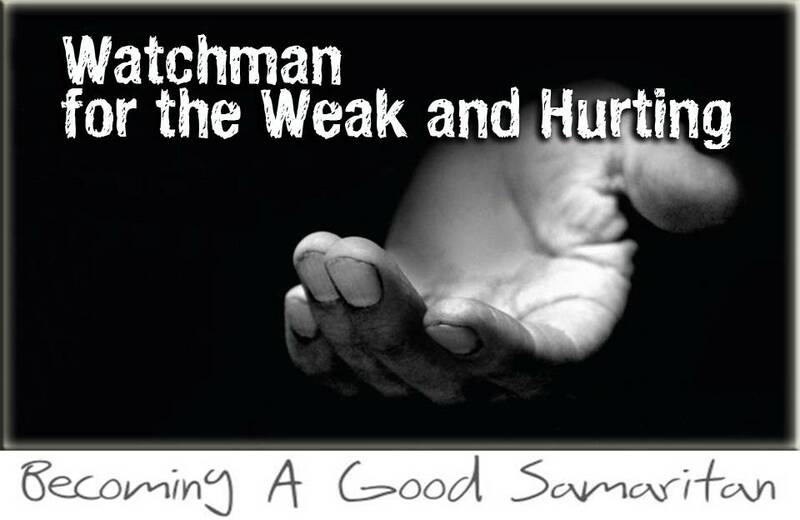 What does it take to be a Watchman for the Hurting and Sick? 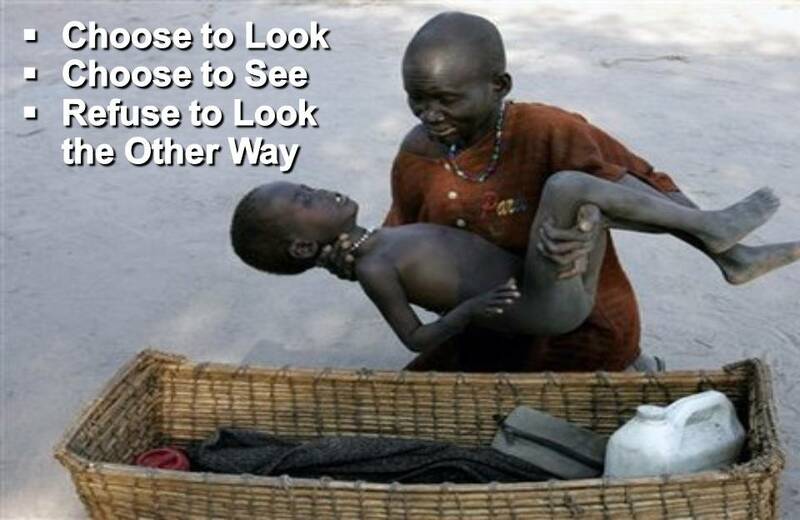 Refuse to look the other way. His name was Richard, the same as mine. I sat inside his meager thatch hut, listening to his story, told through the tears of an orphan whose parents had died of AIDS. At thirteen, Richard was trying to raise his two younger brothers by himself in this small shack with no running water, electricity, or even beds to sleep in. There were no adults in their lives—no one to care for them, feed them, love them, or teach them how to become men. There was no one to hug them either, or to tuck them in at night. Other than his siblings, Richard was alone, as no child should be. I try to picture my own children abandoned in this kind of deprivation, fending for themselves without parents to protect them, and I cannot. I didn’t want to be there. I wasn’t supposed to be there, so far out of my comfort zone—not in that place where orphaned children live by themselves in their agony. There, poverty, disease, and squalor had eyes and faces that stared back, and I had to see and smell and touch the pain of the poor. That particular district, Rakai, is believed to be ground zero for the Ugandan AIDS pandemic. There, the deadly virus has stalked its victims in the dark for decades. Sweat trickled down my face as I sat awkwardly with Richard and his brothers while a film crew captured every tear—mine and theirs. I much preferred living in my bubble, the one that, until that moment, had safely contained my life, family, and career. It kept difficult things like this out, insulating me from anything too raw or upsetting. When such things intruded, as they rarely did, a channel could be changed, a newspaper page turned, or a check written to keep the poor at a safe distance. But not in Rakai. There, “such things” had faces and names—even my name, Richard. This overwhelmed me, and my tears started to flow. Forgive me, Lord, forgive me. I didn’t know. But I did know. I knew about poverty and suffering in the world. I was aware that children die daily from starvation and lack of clean water. I also knew about AIDS and the orphans it leaves behind, but I kept these things outside of my insulating bubble and looked the other way. Under Rich’s leadership World Vision now serves more than 100 million people in nearly 100 countries, demonstrating God’s unconditional love for all people all around the world. Indeed, God did have a job for Rich to do, and he has a job for you and for me as well. But first we must be willing to look at the tough issues. We must be willing to see—really see—the effects on people’s lives. And we must refuse to look the other way. We, as Christ’s followers, have the opportunity to be known as “the people who came alongside,” the people who patiently suffered with those in need. This is our call, friends. This is our mission—to love people in practical ways so that they may see our good deeds and glorify our Father, who is in heaven. I want to mention three truths about who we are as the church of Jesus Christ before we move into this week’s personal application. 1. The church is the greatest dispenser of hope that the world could ever know; it has the hope of heaven, where no one will be afflicted by disease. Romans 8:22-25 For we know that the whole creation has been groaning together in the pains of childbirth until now. And not only the creation, but we ourselves, who have the firstfruits of the Spirit, groan inwardly as we wait eagerly for adoption as sons, the redemption of our bodies. innisbrook For in this hope we were saved. Now hope that is seen is not hope. For who hopes for what he sees? But if we hope for what we do not see, we wait for it with patience. It is because of faith in Christ that we have this hope. It is a hope that our government cannot provide, our academic institutions cannot provide, our corporations cannot provide, and even our families cannot provide. Rock-solid hope is only found in Jesus Christ, the One who overcomes all trials and all tribulations, including death. And including, certainly, sickness and disease. Don’t keep the hope of glory to yourself. Dispense your hope! This is why you are alive today. 2. The Church Is The Greatest Dispenser Of Healing That The World Will Ever Know. Someday there will be no disease. That will be the same day that there is no more sin. Disease is a manifestation of the effects of sin. First Peter 2:24 assures us that Christ carried our sins to the cross so that we could be freed to live the right way. In this sense, his wounds became our healing. As a result of Christ’s work on the cross, we have direct access to the Great Physician, the One who alone by his own power can heal. Are there people in our world today who need that same type of assurance? It is our job to dispense this divine access to healing to those who are sick. Pray for those who are sick. Pray for their salvation. Pray for their healing. Pray for their lives to be freed from the bonds of disease and used for God’s glory. We possess what no medicine can provide: the ever-ready power of believing prayer. 3. The church is the most credible watchman for the World. The church must blow the trumpet of warning alert all people that we’re officially at war with these diseases. We have enough information about HIV and AIDS—as well as other pandemics like malaria, cholera, and others—to speak up. And because of our knowledge and our role as the church of Jesus Christ, we have the responsibility to act on behalf of those who are suffering with no voice. Consider whether you are using your resources and influence for the eternal good of others or for the temporal good of yourselves. God began drawing me to a defining moment in 2003. I was unexpectedly broken as I attended a Promise Keepers event for pastors in Phoenix. I arrived there expecting to be challenged and refreshed as I connected with others attending the event. However, when speaker Bruce Wilkinson took the stage, my view of God and of the world was turned upside down. 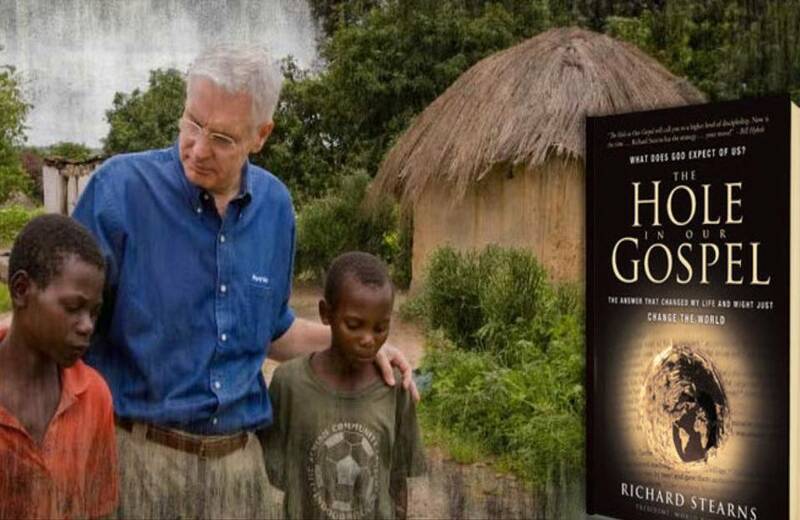 Through his teaching my heart grasped the horrific fact that 33 million people were dying worldwide from HIV and AIDS; 22.5 million were infected in sub-Saharan Africa alone. But what grabbed my heart most of all were the millions of children left vulnerable and in utter poverty due to the death of one or both parents. Dr. Wilkinson then began to share his dream for Africa and how God had done surgery on his own heart. He said that God had “ripped open his chest, pulled out his heart, dug a hole in Africa, threw his heart into the hole, and filled in the hole with dirt.” In other words, his heart was no longer his own, and he must follow wherever God took it. As the weeks went by, I returned to my safe, comfortable view of God. I was no longer ignorant of the AIDS pandemic and the millions affected, but its importance and relevance returned to the lowest rung on the priority ladder of my heart. Three years later, while attending the 2006 Willow Creek Association Leadership Summit, God rekindled the fire in my heart and led me to a second defining moment. Bono, the lead singer of the band U2, became the conduit of God’s calling. In an interview with Bill Hybels [senior pastor of Willow Creek Community Church], Bono challenged the church to rise up and truly become the body of Christ. Bono questioned: “Why isn’t the church responding to the greatest social crisis of our day … why has the church been slow to the dance? The church has always been behind—racism, apartheid. Why is it that way? … The church has been very judgmental about the AIDS virus. [They say that] these people have been living sexually irresponsible lives. If there’s a car crash with a drunk driver, do you drive on? Christ won’t let the church walk away from the AIDS emergency. It’s the leprosy of our age. Brian found himself at another crossroads that day: would he continue living a safe, comfortable life, or would he use his resources and his influence to engage? It’s the same question I have for us today. Each of us has been gifted by a very gracious God with resources, capabilities, capacities, talents, ideas, and influence. Will we use those things for eternal good? Or will we waste them on toys and trinkets that certainly will not last? Brian introduced The Third Project. This was a challenge the middle school students attending Woodmen Valley Chapel to practically respond to the AIDS Pandemic in Africa. We challenged students to live with “God first, others second, and me third.” This taught students to see that just because a child is born in Africa to a mother dying of AIDS in a hut, she is no less important than I am. In fact, biblicaly speaking, she’s more important. “God’s first, this girl is second, I am third.” As a result students raised over $44,000 for AIDS orphans in Africa in six months. They truly caught what living third is all about. Realizing that he now needed a place to invest those funds, under the guidance of church leadership, Brian partnered with a local organization that was doing work in Africa. He also went on a trip to Swaziland to visit a ministry leader named Pastor Themba and a local community of Christ-followers who needed help supporting the more than 150 orphans in their immediate area. Brian’s middle-schoolers had just the funds Pastor Themba’s congregation needed. 1. 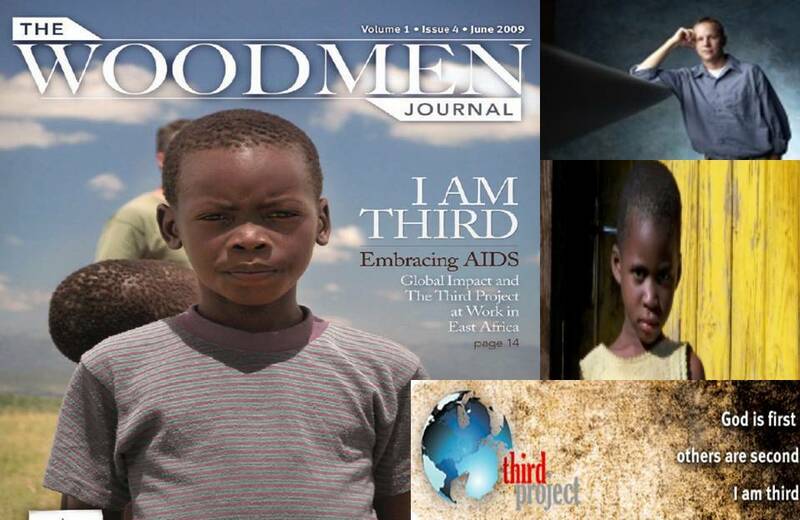 “When you hear the terrible statistics associated with HIV and AIDS, do you consider that part of that number is you?” – that part of that number is brothers and sisters in Christ half a world away and even in our own backyard? Do I? Perhaps it’s a shift in perspective—HIV and AIDS are not reserved for those who have been sexually irresponsible. Maybe it’s a shift in priorities—God does have a role for you and me to play, but he won’t force his agenda onto our lives. Or it could be that what’s needed is a simple shift in pace—some of us are so busy doing good work that we are missing the great works God wishes to accomplish through our lives. What shifts in your mind and heart might allow you to become an advocate, an activist, for one person who is suffering from a terrible disease? I hope you’ll carry that question with you this week. The point I want to make is that the institutional church can do nothing to solve the disease problem in the developing world. This world is under the curse of sin and we need King Jesus. But Christ-followers who rally together and choose to invest their resources and influence wisely can make all the difference in the world. We are the greatest dispenser of hope and healing the world will ever know. All we must do is choose to start. What needs do I see in this person’s life? What can I pray on his/her behalf? What action can I take to help? I hope you’ll accept that invitation. And I hope that many of you will share with me what God did as a result of your willingness to serve! Becoming a Good Samaritan journey began last week, and for the next four weeks we will continue to discuss ways that we as a Christ-following community can become Watchmen for the hurting, the weak, the forgotten and the oppressed of the world. The St-Hilaire train disaster was a railroad disaster that occurred on June 29, 1864 near the present day town of Mont-Saint-Hilaire, Quebec. The train, which had been carrying many German and Polish immigrants, failed to acknowledge a stop light and fell through an open swing bridge into the Richelieu River. The widely accepted death toll is 99 persons. 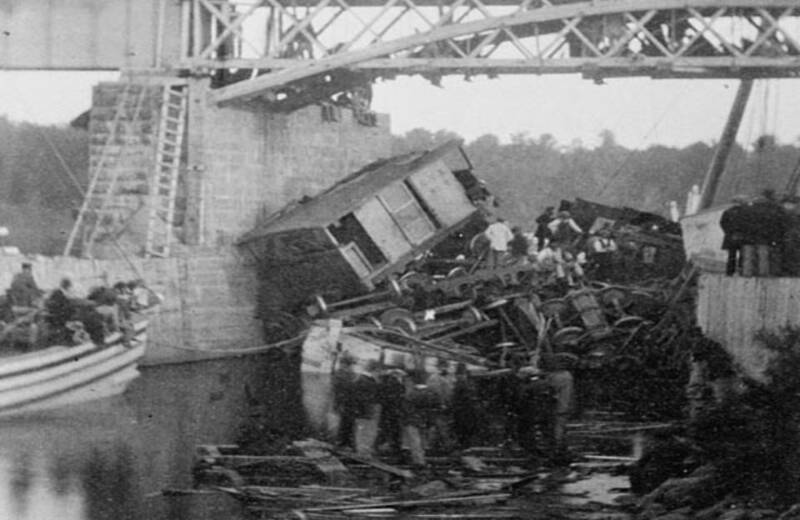 The disaster remains the worst railway accident in Canadian history. The Grand Trunk train carrying between 354 and 475 passengers, many of them German and Polish immigrants, was travelling from Quebec City to Montreal. At around 1:20 a.m. the train was approaching a swing bridge known as the Belœil Bridge over the Richelieu River. The swing bridge had been opened to allow the passage of five barges and a steamer ship. A red light a mile ahead of the bridge signalled to the train that the crossing was open and it needed to slow down. However the light was not acknowledged by the conductor, Thomas Finn, or the engineer, William Burnie, and the train continued towards the bridge. At 1:20 a.m. the train came onto the bridge and fell through an open gap. The engine and eleven coaches fell through the gap one after another on top of each other crushing a passing barge. The train sank into an area of the river with a depth of 10 feet. 99 people aboard the train were killed and 100 more were injured. The engineer, who had only recently been hired, claimed that he was not familiar with the route and that he did not see the signal. This world is on an express train headed straight to Hell. On this train are the weak, the sickly, the powerless. How is that train going to stop if we don’t signal them. How is that train going to stop if we are not swinging the Light of the Gospel. 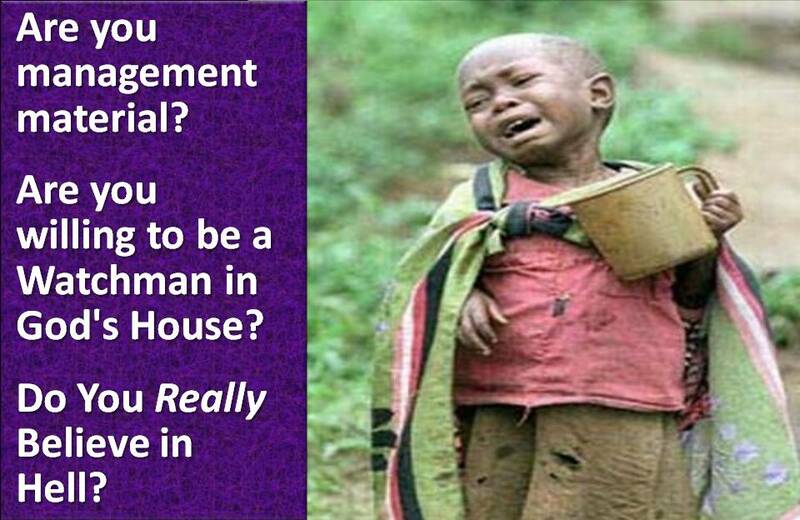 Are you management material? 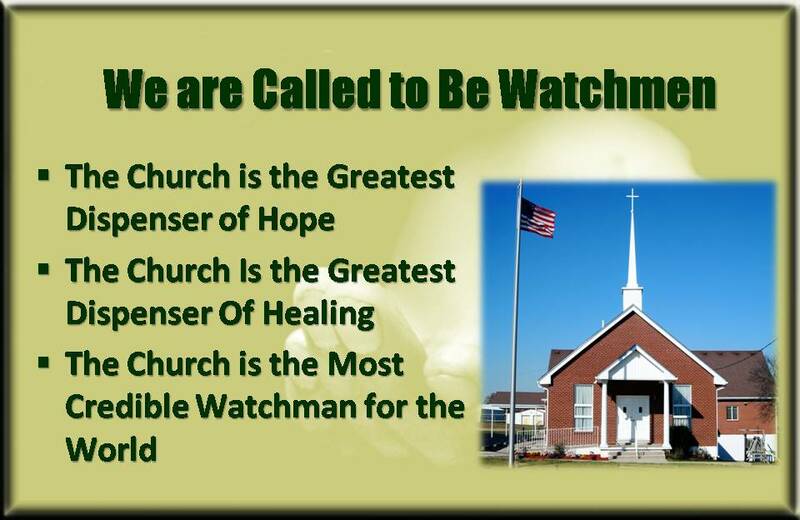 Are you willing to be a Watchman in God’s House? Complete Word Study Dictionary, The – New Testament. Rich Stearns, The Hole in Our Gospel. Thomas Nelson 2009. Brian Carlson, “I am Third,” as published in The Woodmen Journal, Volume 1, Issue 4, June 2009, pp.17-18. http://www.woodmenjournal.com.